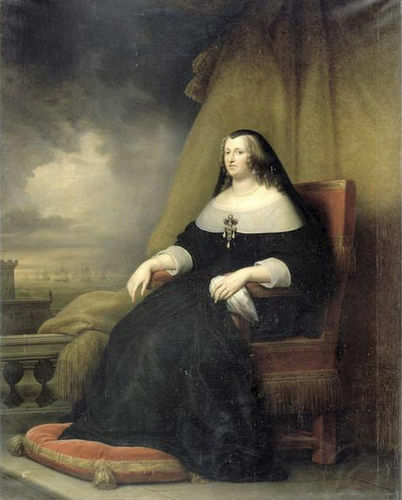 Anne of Austria as Widow of Louis XIII. Wife of Louis XIII and mother of Louis XIV of France. Painted by Charles de Steuben.. Wallpaper and background images in the Kings and Queens club tagged: anne of austria queen consort of france queen of france royalty monarchs queen charles de steuben. This Kings and Queens photo might contain drawing room, living room, living room, sitting room, front room, parlor, parlour, parlor, and parlour.